The Winter season is fast approaching…… shortened days, cold, snow, icy rain, and lack of sunshine. 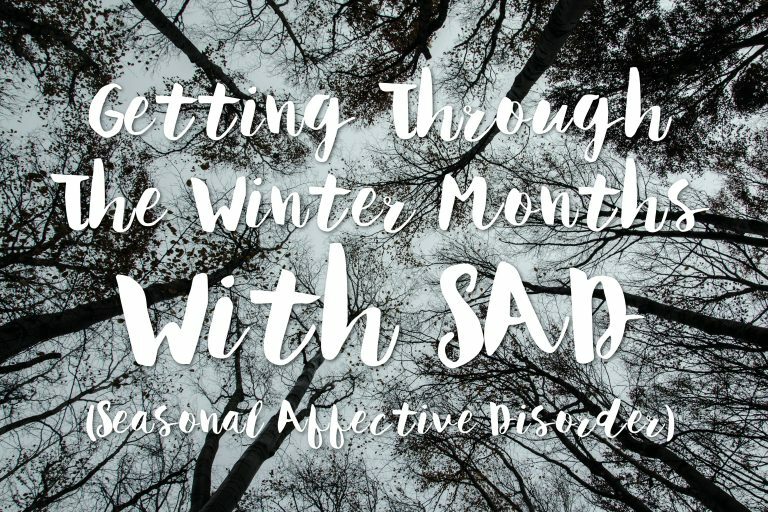 When the seasons change many people, 1 in 5 to be exact, can suffer from Seasonal Affective Disorder(SAD) which is serious mood altering state and can be rather intense during the late fall/winter season due to the lack of sunlight. Less sunlight in the winter, coupled with more time indoors, can trigger SAD. It is proven to be a serious form of depression and reduce the quality of life for those with the disorder. Sunlight is very critical to our mental well being because it helps release endorphins in the body and to regulate melatonin. These two hormones are part of what give people their sense of well-being and translates to their feeling of vitality. SAD is believed to be caused by the decrease in hours of daylight, lack of sun and vitamin D.
Those who suffer from SAD describe feeling sad, weepy, wanting to get away from people, and having a reduced interest in interacting or even talking to others. Other common symptoms of SAD are: mood swings, feeling unmotivated, over-eating, irritability, depression, disruptive sleep, feelings of hopelessness, lack of concentration, and fatigue. The National Institute of Health (NIH) classifies SAD as a form of depression. Effective tools such as light therapy (sun lamps) along with Massage Therapy help battle SAD symptoms. How can Core Elements help? Treating those with SAD is one of the many ways that massage therapists can offer real help to their clients as part of an integrative medical team. Therapeutic massage helps stimulate the circulatory system which can help with the release of mood boosting hormones like serotonin and encourage the body’s production of endorphins, our natural painkillers. With decreased activity levels for many people during the winter months the circulatory benefits also help with increasing energy and immunity levels. Many clients are using Massage Therapy as the number one tool to help them relieve their stress and tension while struggling with SAD. Routine: It can be easy to get out of routine when we are feeling lethargic and our sleep pattern is disrupted. By ensuring you go to sleep and wake up at roughly the same time every day you avoid disturbing your body clock. Electronics:Try to limit the use of phones, tablets and TVs just before bed. These will put artificial light into the eye and can mess up the delicate chemical balances making it harder for you to fall asleep at night. Get outdoors: Try and spend some time outside every day. It can be hard to motivate yourself to get out but by exposing yourself to natural light you will naturally boost your Serotonin levels which will have a big effect on your mood. Exercise: Studies have shown that exercising regularly is a great way of naturally boosting production of Serotonin. Exercise will also help wear you out so you feel more sleepy at night time, which will also help regulate your body clock. Eat healthily: The food your body craves during winter can actually leave you feeling lethargic and tired. Plus they can lead you to gain weight which can lead to feelings of frustration and depression. Try to counter this with lots of fruit and vegetables (and make sure you treat yourself to what you enjoy too!). Some people find taking a Vitamin B12 or a Vitamin D supplement can help as well. Reduce stress: Try to avoid planning stressful life events for the winter months if you know you naturally find this time of year harder. Things like changing jobs or moving home, where possible, should be planned for the summer. Winter can be a stressful time anyway; the holiday period can lead to financial strain and difficult family events so try to do your Christmas shopping ahead of time and don’t put yourself under pressure to go to every party you are invited to. Ramp up the self-care: First… Book yourself a massage, then find time to unwind with craft activities or learn relaxation techniques such as mindfulness or meditation. Book a holiday: A more expensive option but some people with SAD book their ‘summer holiday’ during winter, while others will go somewhere closer to the equator for the whole of the winter period. However, some people do report a real slump in their mood when they return to the UK so bear this in mind when considering this option. Support: Talking therapy, Speak to your friends and family. Ask them to read this so they understand what you are going through and why. It will help them be more understanding and supportive. Having people to talk to who are going through the same thing can also be invaluable – many ‘general’ depression support groups will also have people who suffer from SAD. St John’s Wort: A herbal remedy that has been shown to be helpful for some in coping with the symptoms of winter blues. Be careful when using alongside light therapy as it can make you sensitive to bright light and make sure you speak to your GP if you are using any other medication before trying. Sharing is caring: please share this blog to help others, you never know who might need it. Book a massage and enjoy the benefits a massage therapy treatment can provide for SAD. Our warm heated tables and skilled staff will put you at ease.